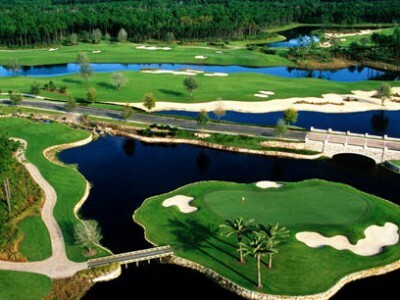 Home Course Reviews Your Favorite Golf Resort? Golf resorts. The place where you huddle up with your friends for a weekend play this game we all love. They are found in just about every vacation destination out there and the amenities are normally top notch. Manicured courses, luxurious rooms and fine dining usually accompany these properties that some consider heaven. THP wants to hear about your favorite golf resort. What area of the country is it in? What makes it special? Outside of the golf, what takes this property from mundane to unique? Let us know below in the comments section or discuss it here in the THP Forum. I have many favorites, but True Blue/Caledonia tops my list. I love both courses and, in general, the whole Myrtle beach area has so much to offer from selection of fine courses to great food. My favorite is the Bandon Dunes resort. I love that the entire place is built around its motto “Golf as it was meant to be” – other elements of the resort are good, but nothing takes away from the golf. Four world class courses, minimalist architecture, true links and the fact it is in my home state don’t hurt either. I’m a sucker for PGA National. Five courses, a great central bar, and nice ammeneties. I’m spoiled living in Orlando where golf resorts are plentiful. They all have great golf, great food and great night life. What more could one want and then add in the family element with all the theme parks. Reunion and Grand Cypress are my two favs. Pine hurst is always going to attar a great many but can be pricy. True Blue is perfect! Mission Inn and True Blue for me. The American Club in Kohler Wisconsin is fantastic!! Amazing golf, views, accomadations and area in general. Kohler is such a unique place. I’ve only been to one, True Blue/Caledonia. Loved it! Only been to one as well, PGA National and loved the multiple, quality, courses with all the ammeneties. My sample size is a bit low to compare resorts. Sea Island. Elegant, ocean front. Jackets for lunch? Yes, please. The Equinox in Vermont is spectacular, the rooms are huge with a Victorian feel and the course is beautiful. Kingsmill in Williamsburg is very nice as well, great accommodations coupled with spectacular golf make it one of my favorites. Predator Ridge in Kelowna BC Canada. Great golf, fantastic city, terrific food and the views from the course are incredible. Not really a destination location compared to a lot of areas in the states. However, we have several outstanding venues in Colorado…not to mention the views. As long as you don’t mind seeing the ocean spray…you would be impressed. Looking forward to staking my claim to everyone’s dream destinations one day. The Greenbrier Resort in West Virginia. The courses were beautiful with the mountainous backdrop. The whole resort was very upscale, Victorian style and classy. Bandon Dunes is an ultimate. RTJ Trail at Cap. Hill. The best, most exotic course I have played was the course at the Atlantis in Nassau, Bahamas. Such an amazing course. Looking at houses owned by Tiger, as well as many other celebs. And of course, it’s the freaking Bahamas, even in January the weather was awesome. Capricorn International Resort at Yeppoon Central Queensland Australia. It has two courses a wide open resort course and a tight Championship course. Both courses abound with native flora and fauna, including LOTS of kangaroos for our international visitors. Pinehurst is great. First class throughout. Disney World is good too. Stay at Disney Polynesian or Grand Floridian Resort Hotels and two golf courses are across the street (Palm, Magnolia). Three more courses are within ten minutes and Disney provides free transportation throughout. Williamsburg isn’t a resort per se but there are lots of quality accommodations and excellent courses all within a half hour radius. All three on my list offer great entertainment for the wives and kids too. Stayed at Arnie’s place at Bay Hill in Orlando this past year. Great old style golf property, and a super course. Caledonia/True Blue is awesome. Add Heritage to the lineup and it’s tough to beat for golf and value. Another good place in Myrtle Beach is the Legends resort. 3 strong on site courses Heathman (Doak), Moorland (Dye), and Parkland (Stranz did a lot of work on Parkland and Moorland). The on site bar is great as is the included breakfasr, lunch, and 2 beers the come with greens fee. I like the Woodstone Meadows at Massanutten Resorts in VA. Lots of fun for the amateur hacke like me with all the amenities you would expect from a 5 star resort. It’s beautiful golf in the fall with all the leaves changing. Pine Valley and Merion if you know the right people. Sea Island and Pebble Beach if you don’t.